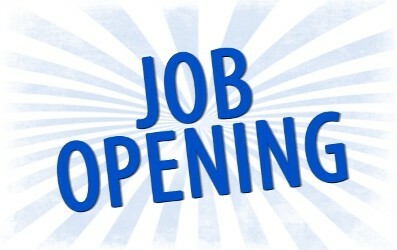 Levan Town Is Accepting Applications for the position of DEPUTY CLERK Levan Town is seeking applicants for the position of Deputy Clerk. Normal work hours would be Monday – Thursday 8:30 am to 12:30 pm. There would also be occasional evening meetings. Welcome to the Official Levan Town Website! The Town of Levan sits at the base of the mountains south of Mt. Nebo in central Utah. Two canyons, Chicken Creek and Pigeon Creek, flank the town to the East, providing opportunities for four wheeling adventure, fishing, camping and hiking. Settled in 1868 as an agricultural community, Levan has maintained its small country charm and friendly atmosphere as it’s grown to a town of approximately 850 residents. Old Timers maintain that the town’s original residents planted hundreds of black locust trees in hopes of establishing a wagon wheel enterprise. Modern transportation rendered the wagon wheel obsolete, but the beautiful black locust trees thrived and line the streets of Levan today. Another glimpse into yesteryear can be seen in the many pioneer built barns and cabins that still stand in town, a testament to the determination of long ago families to create a new life and living for themselves. Levan, a town where neighbors wave at passers by, is an easy day’s drive to Capital Reef, Zion’s National Park, Arches National Park, Salt Lake City and Las Vegas. The town park provides a tree lined venue for picnics and outdoor festivities, including the annual 24th of July celebration. Some residents claim the name Levan is a reverse spelling of Navel because it is located in the center of the state. History, however, indicates that the name was imparted by Brigham Young when the town was founded.